What's Really Going to Happen to Your Ontario Auto Insurance Rate? > What's Really Going to Happen to Your Ontario Auto Insurance Rate? Car insurance rates in Ontario are trending upwards and some drivers are seeing increases of up to 20 per cent. What can you expect when it's time to renew? In the last six months, auto insurance rates in Ontario have been creeping higher. In the last quarter of 2017, rate changes approved by the Financial Services Commission of Ontario (FSCO) increased on average 1.03 per cent, and in the first quarter of 2018 they went up 2.23 per cent. And while an average increase of one per cent here and two per cent there may not sound like a lot, the reality is that many drivers will see increases that are significantly higher. "FSCO's approved rate changes reflect the general pricing trends of what's going on in the industry," says Darryl May, Vice-President and Principal Broker at KTX Insurance Brokers. "But because these rate changes are averages, the numbers don't reflect the increases that many drivers are going to see when it comes time to renew. We are already seeing consumers receiving increases of up to 20 per cent." What's driving the increase in Ontario auto insurance rates? Many insurers reported that for every dollar in auto insurance premium they received last year, they spent more than a dollar to cover their expenses and fulfill claims. 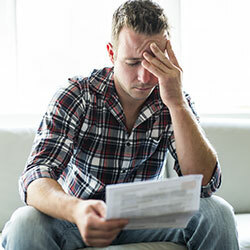 Claims are simply costing too much. The driving forces behind this situation are threefold: the high frequency of insurance fraud, particularly with respect to accident benefits and bodily injury coverages; high-tech vehicles that are expensive to repair; and, high impact collisions because drivers are distracted and not taking evasive manoeuvres in time to avoid a collision. As a result, insurers are taking a hard look at claims trends and the premiums they offer. Do you live in an area that has seen an uptick in claims? Is your driving and insurance history similar to other drivers who have shown an increased likelihood of submitting claims? These questions and more will factor into your premiums as insurers look to set prices that more accurately reflects the probability of a claim. For many drivers, this will mean higher insurance rates. What can you do to keep your premiums in check? Auto insurance rates do not uniformly change across all insurers at the same time. How much your insurance premiums will change when it's time to renew your auto insurance policy will all depend on who you have your coverage through and any change in rating and rates they have implemented. Last quarter for example, FSCO approved rate increases for 19 insurers that ranged from an average 0.24 per cent increase to 9.96 per cent. The only way to ensure you're getting the best rate available is to shop around, because the company who provided you the lowest rate five years ago, two years ago or even last year, may no longer offer you the best deal today. And shopping around can result in real savings. Last year, for example, Ontario drivers who shopped their rate at Kanetix.ca, saved on average $610*. This year, when it's time to renew, take your current insurer's rates for a test drive and see how they compare. It's the only way to know for certain that you're getting the best deal on car insurance for the year ahead. * 75% of Kanetix customers in Ontario who participated in the survey said Kanetix helped them identify an average savings amount of $610 (June - November 2017) on their car insurance. The cited amount represents the average difference between the best quote obtained at www.kanetix.ca and the current premium amount of participants in the survey. The savings amount varies by individual and does not constitute a guarantee; in each individual case, the difference may be smaller or greater than the savings amount cited.